You are currently viewing Archived reports for the week of 22 February-28 February 2017. 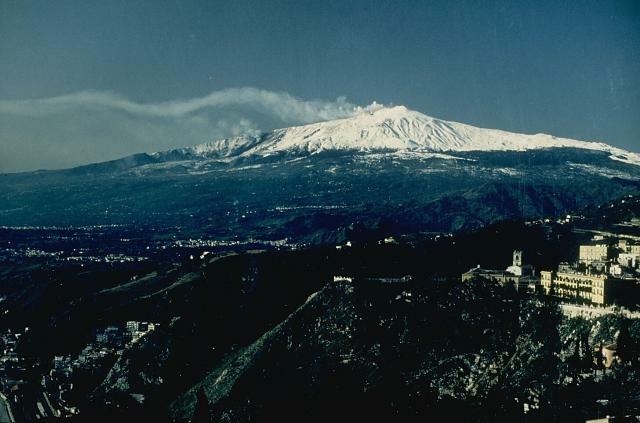 INGV reported that Strombolian activity at Etna’s New Southeast Crater (NSEC) cone that began on 23 January gradually began to intensify at 1700 on 27 February. 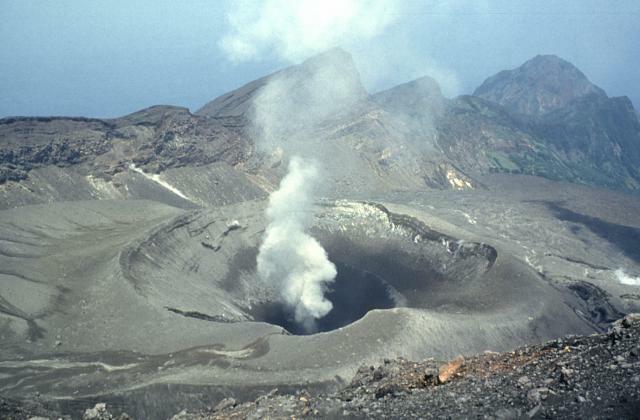 A lava flow quickly reached the base of the cone and traveled SW towards Monte Frumento Supino. 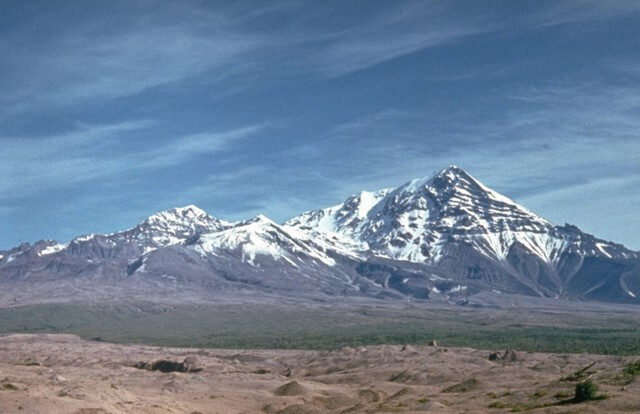 Ash plumes drifted E and caused ashfall in Zafferana and Linguaglossa. 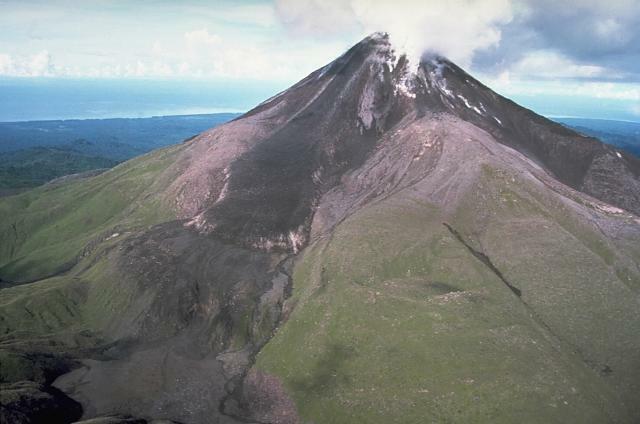 INSIVUMEH reported that during 21-28 February weak Strombolian explosions at Pacaya’s Mackenney cone ejected material as high as 20 m above the crater rim. 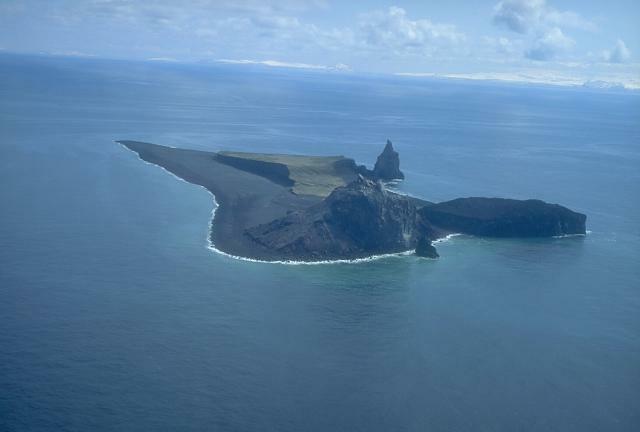 Lava flows traveled 150 m NW towards Cerro Chino cone, and 75 m W.
OVPF reported that during 25-26 February observers noted ejections of material from the active vent at Piton de la Fournaise. Lava was mainly transported through a lava tube, and a few branches coming from the end of the tube remained active. Late at night on 26 February tremor began to decline, and ceased at 1010 the next morning. 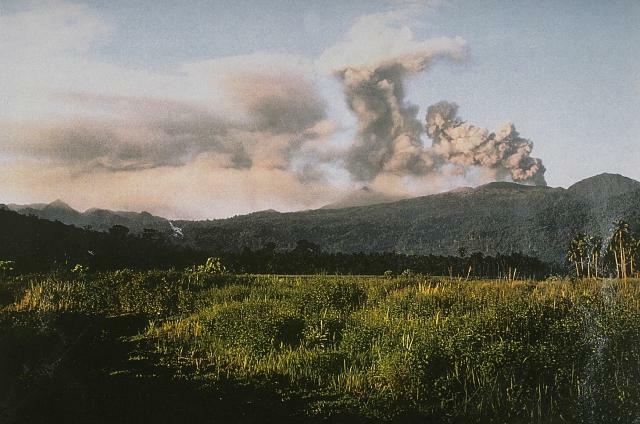 Mid-day on 27 February observers confirmed that no material was being ejected from the vent, and that only white plumes were rising; gas emissions ceased at 1930. Based on analyses of satellite imagery, the Darwin VAAC reported that on 26 February a diffuse ash plume from Bagana rose to an altitude of 3 km (10,000 ft) a.s.l. and drifted ESE. AVO reported that during 22-28 February no significant activity at Cleveland was observed in satellite and webcam views, nor in seismic or infrasound data. Slightly elevated surface temperatures were identified in a satellite image during 26-28 February, and minor steaming was visible in webcam images during 27-28 February. The Aviation Color Code remained at Orange and the Volcano Alert Level remained at Watch. 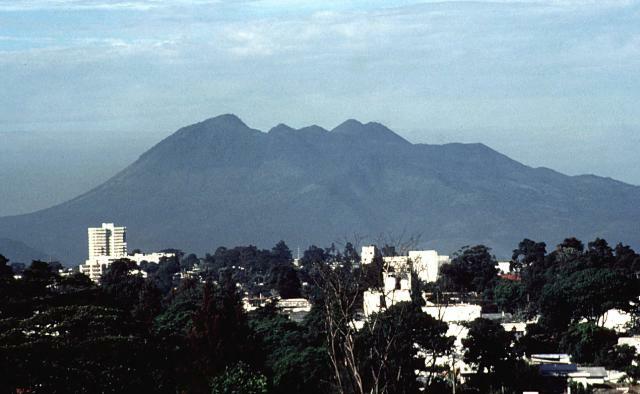 On 24 February the Centro Universitario de Estudios e Investigaciones de Vulcanologia - Universidad de Colima reported low-intensity explosions at Colima during the previous week. 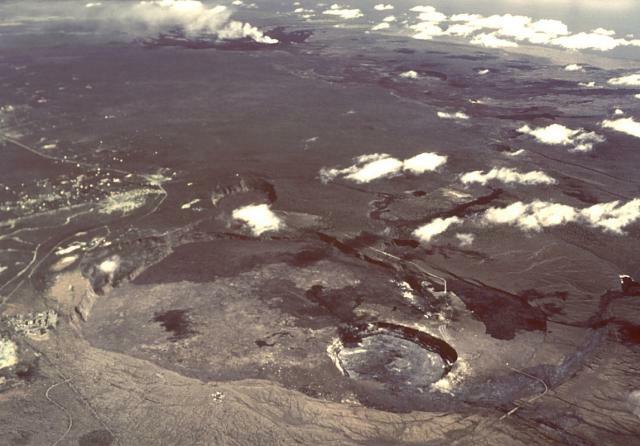 The internal crater remained about 250 m in diameter and 50-60 m deep; previous lava domes had been destroyed in late September and mid-November 2016. 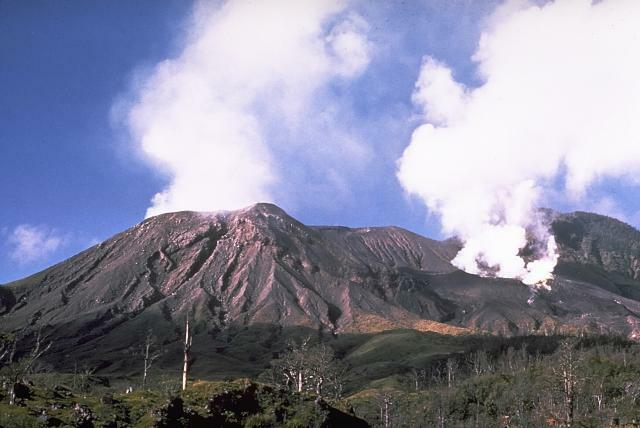 Scientists who visited the terminus of a 4.5-km-long pyroclastic flow that had been emplaced on 8 January observed that the flow was blocky with very little ash, and that the local vegetation had not been burnt, suggesting that the flow was low-temperature. The Unidad Estatal de Protección Civil de Colima noted that the public should not enter the 8-km-radius exclusion zone, and also stay away from ravines. 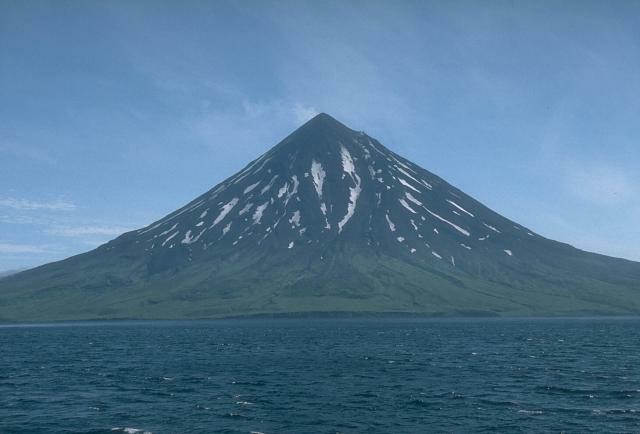 KVERT reported that, according to observers in Severo-Kurilsk (Paramushir Island) about 7 km E, explosions on 27 February at Ebeko produced an ash plume that rose to an altitude of 2 km (6,600 ft) a.s.l. and drifted about 6 km N. The Aviation Color Code was raised to Orange (the second highest level on a four-color scale). 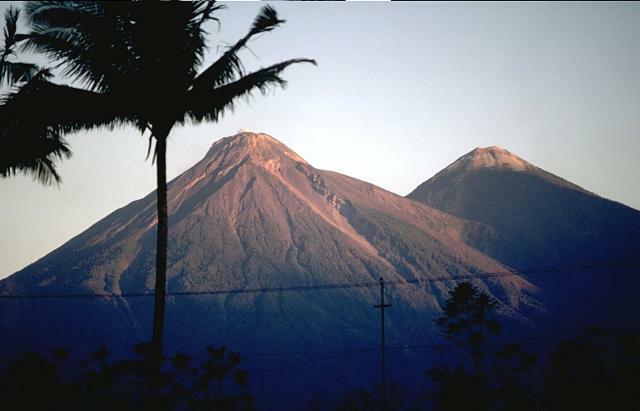 INSIVUMEH reported that during 21-22 February there were 28 explosions detected at Fuego, and ash plumes that rose as high as 1 km above the crater rim and drifted E and NE. 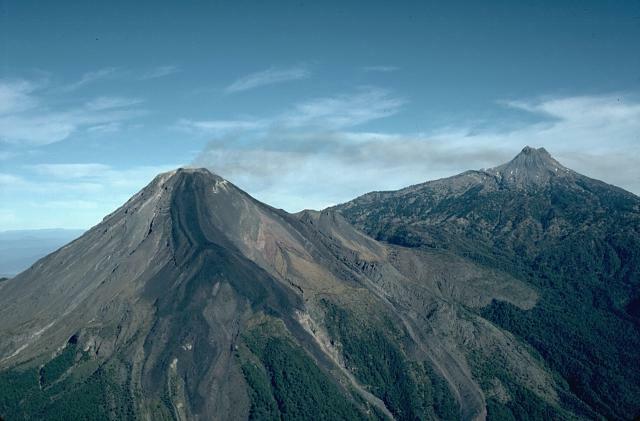 There were 32 explosions recorded during 23-24 February; ash plumes rose 650 m and drifted S and SW. Lava fountains rose 200 m high, and generated a 200-m-long lava flow that descended the Santa Teresa (W) drainage. A second lava flow descended the Las Lajas (SE) drainage. Seismicity increased on 24 February. On 25 February explosions generated ash plumes that rose as high as 1.3 km above the crater and drifted more than 25 km NW, N, NE, and E. Ash fell in Alotenango (8 km ENE), San Vicente Pacaya, El Rodeo, El Zapote, La Reunión, and Alotenango. Lava fountains rose 300 m, and material was ejected as far away as 500 m. The lava flows continued to advance, extending 1.2 km in the Santa Teresa drainage, 1.3 km in the Las Lajas drainage, and 1.6 km in the Ceniza (SSW) drainage. Weak-to-moderate explosions during 26-27 February produced ash plumes that rose at most 750 m and drifted 8 km W and SW.
During 22-28 February HVO reported that the lava lake continued to rise and fall, circulate, and spatter in Kilauea’s Overlook vent. Webcams recorded incandescence from long-active sources within Pu'u 'O'o Crater and from a vent high on the NE flank of the cone. A pit on the W side of the crater contains a small lava pond. The 61G lava flow, originating from a vent on Pu'u 'O'o Crater's E flank, continued to enter the ocean at Kamokuna. 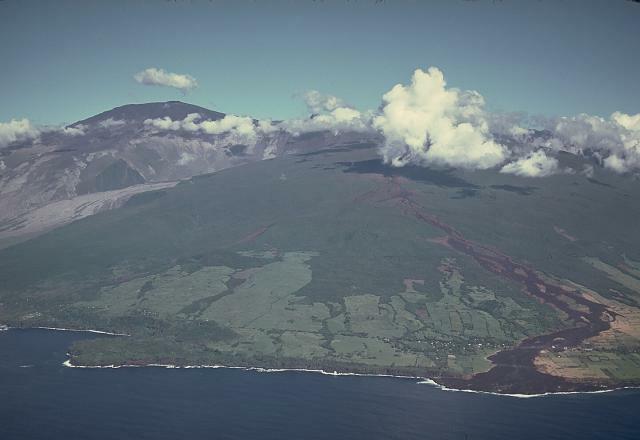 Surface lava flows were active on the coastal plain, along the E side of 61G, less than 1 km upslope of the FEMA emergency road. Other surface flows streamed down the pali farther inland. Based on analyses of satellite imagery and wind data, the Darwin VAAC reported that on 24 February an ash plume from Langila rose to an altitude of 2.4 km (8,000 ft) a.s.l. 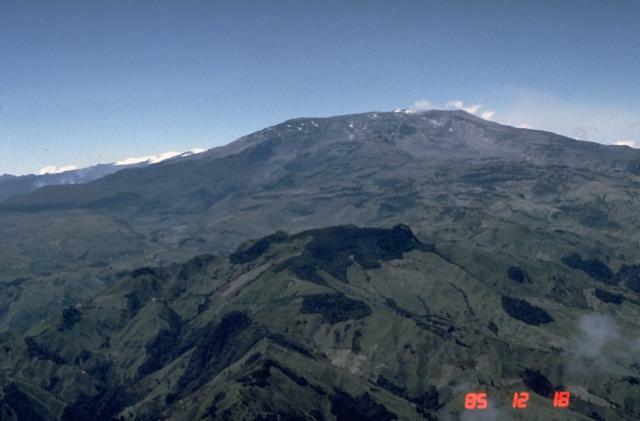 and drifted N.
Servicio Geológico Colombiano’s (SGC) Observatorio Vulcanológico y Sismológico de Manizales reported that during 21-27 February seismicity at Nevado del Ruiz continued to indicate unrest. Seismicity was highest during 23-26 February with earthquakes located at depths of 1.1-4 km, in areas SW of the volcano; the largest event was a local M 3.2. Signals indicating fracturing rock increased in both size and number as compared to the previous week. Significant amounts of water vapor and gas continued to be emitted. Gas, steam, and ash plumes rose 2 km above the crater rim on 25 February and drifted NW and SW. Thermal anomalies were identified on 21, 23, and 26 February. The Alert Level remained at III (Yellow; the second lowest level on a four-color scale). Based on webcam views and seismic data the Buenos Aires VAAC reported that during 22-26 and 28 February sporadic gas-and-ash puffs rose from Sabancaya, and during 24-28 February they rose to altitudes of 7-11.9 km (23,000-39,000 ft) a.s.l. 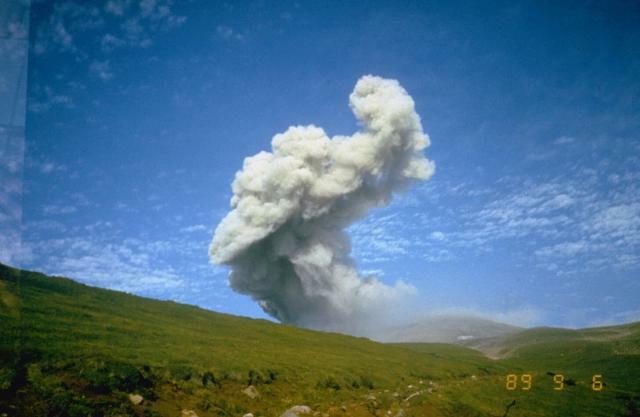 Weather clouds often hindered observations of the volcano. 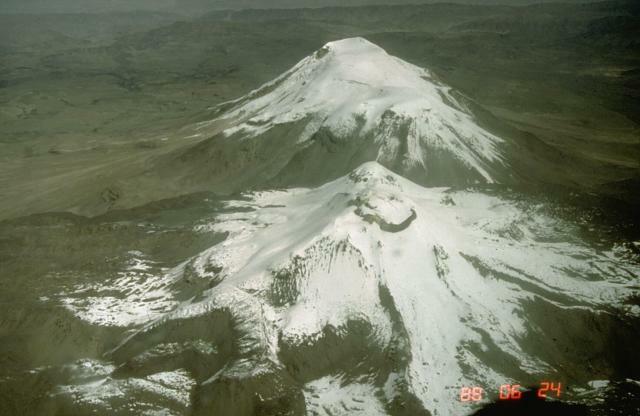 KVERT reported that during 17-24 February lava-dome extrusion onto Sheveluch’s N flank was accompanied by strong fumarolic activity, dome incandescence, ash explosions, and hot avalanches. Satellite images showed a daily thermal anomaly over the dome, and ash plumes that drifted 100 km NE on 18 February. Explosions on 20 February generated ash plumes that rose to an altitude of 5.5 km (18,000 ft) a.s.l. and drifted NW. The Aviation Color Code remained at Orange. 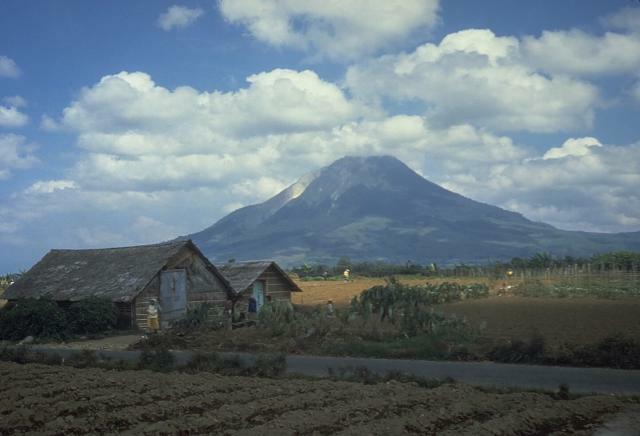 Based on PVMBG observations, satellite and webcam images, and wind data, the Darwin VAAC reported that during 22 and 24-26 February ash plumes from Sinabung rose to altitudes of 3.3-5.2 km (11,000-17,000 ft) a.s.l. and drifted WNW, W, and SW.
Based on JMA notices and satellite-image analyses, the Tokyo VAAC reported explosions at Suwanosejima during 27-28 February. Ash plumes rose to an altitude of 1.5 km (5,000 ft) a.s.l. and drifted SE on 28 February.